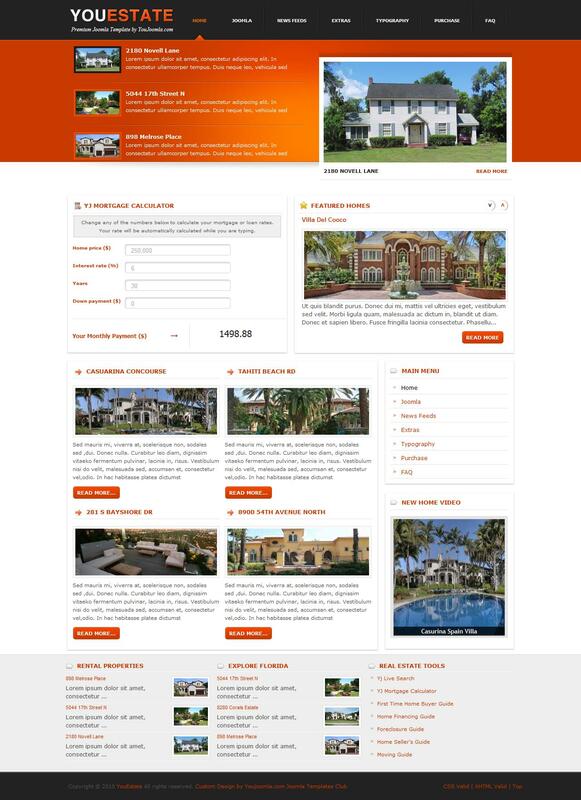 Beautiful design and flexible arrangement of the modules in the template Youestate allow your visitors to submit your products or services in a more favorable light. Youestate - perfect for both the real estate site, and any other subjects. YJ YouEstate izayn template provides three original CSS style that change in the administrative section. And to develop your own unique website design provides suffixes to change the theme modules and expanded HTML typography for stylish design Joomla articles.